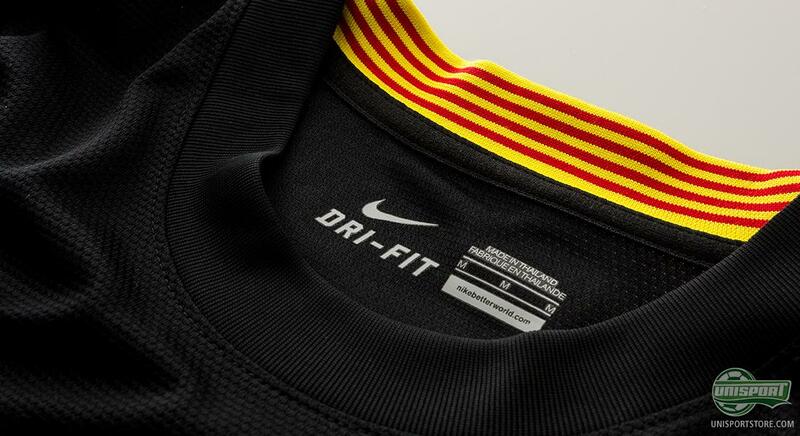 Barcelona once again spoil the clubs loyal fans as they, together with Nike, launch the brand new elegant black third shirt, which the Barca stars will wear as they hunt for yet another trophy this season. The Barcelona trophy cabinet must already be filled to the brim. The Catalan super club has for many years been a true powerhouse in Spanish and international football and that has brought with it countless pieces of silverware. 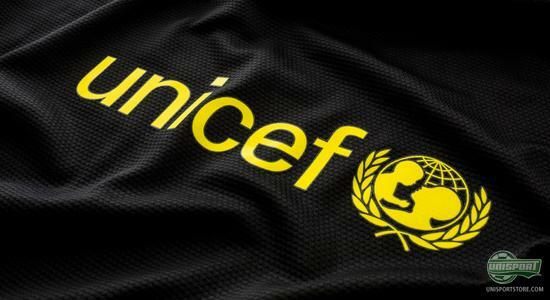 Now the club launches the new third shirt, which they hope will bring with it even more glory. And you would think they could make room in the bulging trophy cabinet, should this shirt prove to be as nice to play in, as it looks. If the new Barcelona third shirt strikes your fancy, then you can pre-order the shirt right here  prices start at just 58. Barcelona have gone for quality over quantity in this summers transfer window, with Neymar Jr. being the only notable signing. 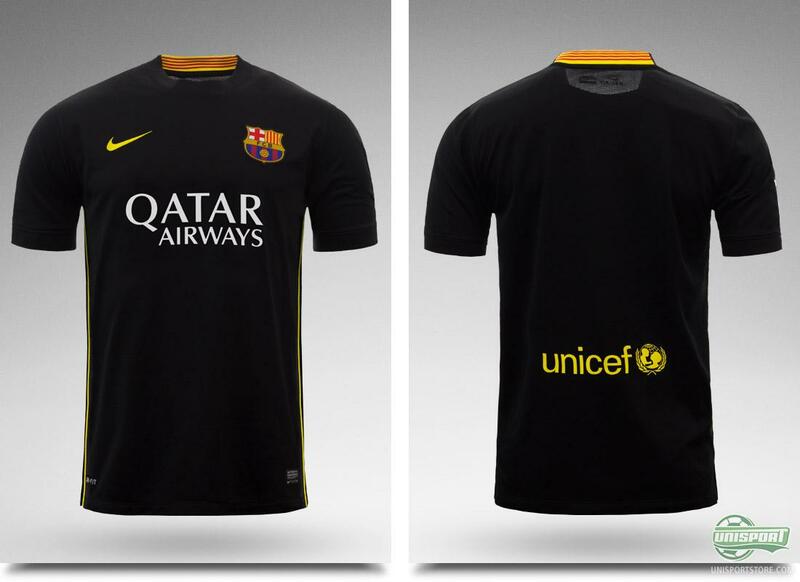 The Barcelona side are however more than ready for the new season, with three elegant and stylish shirts. The latest addition to the wardrobe is designed with such cool elegance that only a club, which knows its grand status could wear. With brave minimalism the third shirt impresses and gives the clubs massive fan base a chance to dress elegantly, while representing the club they love. It is far from the first time that Barcelona have worn a black shirt. In the 2011/2012 season the clubs away shirt was also black, so it will be nice for the Blaugrana to wear black once more. It is the small details in the football game, which make the difference between good and genius. 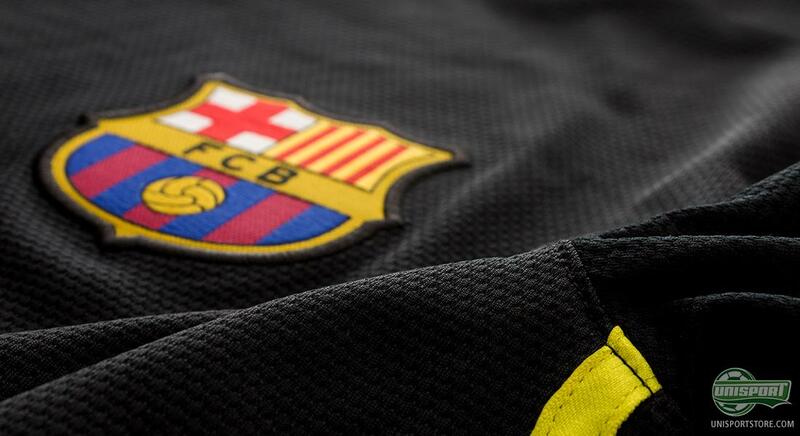 This also counts, when it comes to designing football shirts and it doesn't matter whether it is a side foot pass you're playing, or creating a third shirt, Barcelona have a great eye for detail. 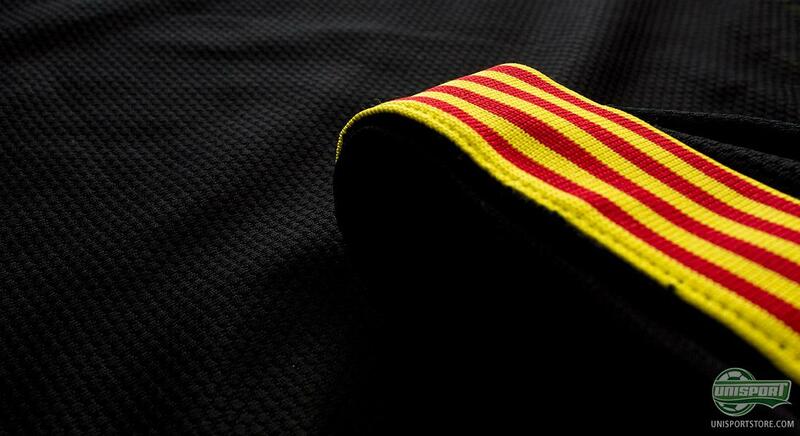 In the collar of the shirt you therefore find the colours of the Senyera, which is the Catalan flag. The Catalan colours are naturally ones, which the regions capital club are very proud of. This year the away shirt is predominantly yellow and red and even on the third shirt, there has been made room for the Senyera colours. This means there can be absolutely no doubt where they come from. On Barcelona's iconic and traditional logo you also find the Catalan colours. The large logo is once again embroidered on the chest, so you can show it off proudly, when Messi and the others win a game  something they do quite frequently, so you will have plenty of chance to do so. 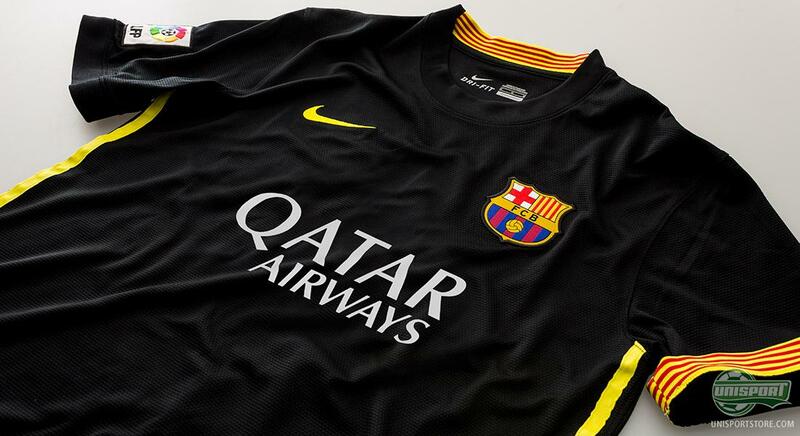 Even though Barcelona have the sponsor Qatar Airways on the front of the shirt, they have also found room for their tradition of having a charity on their shirt. This is why the Unicef logo is once again to be found on the Barcelona shirt. A wonderful tradition, which we tip our hat to. 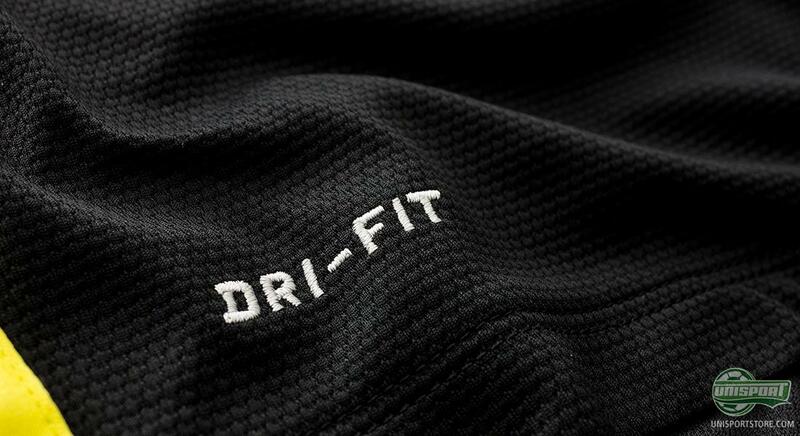 The shirt is made with Nike's technologically advanced Dri-Fit material. It is designed to keep your body temperature at a constantly comfortable temperature, by diverting sweat and moisture away from the body. This makes sure you do not heat up and lose your cool, even in the sweltering Spanish sun. With the new third shirt FC Barcelona are completely ready for a new season hopefully filled with titles and triumphs. 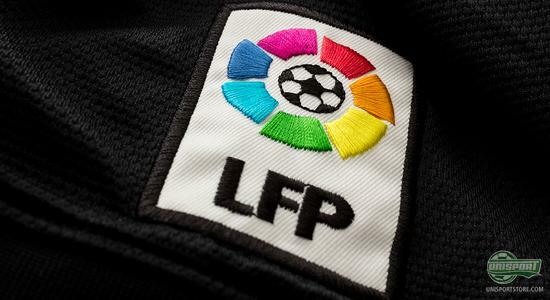 They will this season have to try and stave of Real Madrid, who have spent big this summer and who will now launch an assault on Barca's Primera Division title. If you want to see more of the shirts, which Barcelona will use in their hunt for success, then we have gathered everything there is to know in our Clubshop, which you can find by clicking the banner down below. Barcelona's third shirt is incredibly elegant and simple, when dressed in black and it is an excellent additon to the Barcelona wardrobe. What do you think about the new third shirt? 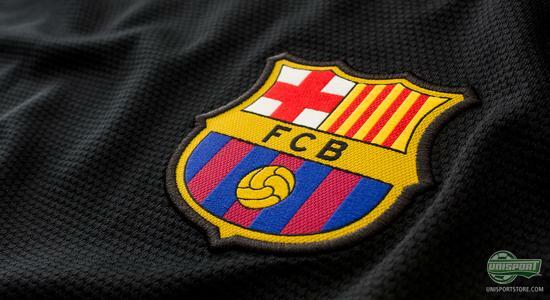 And do you think Barcelona can win more this season? We would love to hear your thoughts in the comment-section down below, or on Facebook and Twitter.